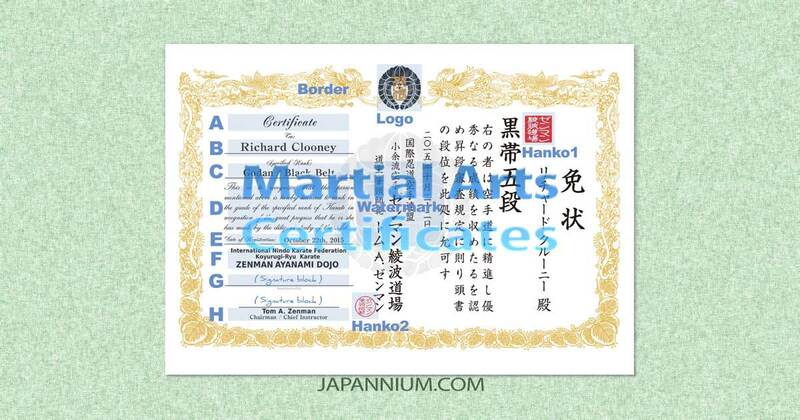 Japanese style Martial Arts Certificate custom design service. With dragon or phoenix original border frame snd personalized seal images. Fine quality PDF for printing.